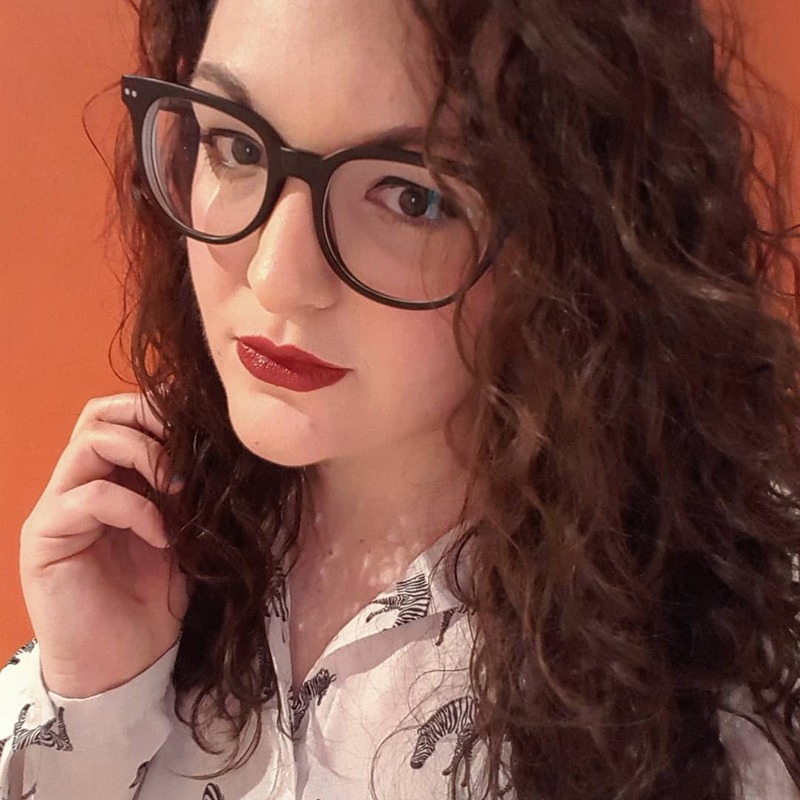 Clearly 25 is the year where I stopped being in any way wild (LOL let’s be honest, I never was), as I recently headed over to the wrong side of the Pennines and spent an afternoon in Manchester. I was there to go to Jim Chapman’s signing for his first book 147 Things, but as I had a few hours to kill, I decided that instead of destroying my bank balance in Arndale or having cocktails for one in one of the 4812536 bars in Manchester, I’d settle for some tea and peace and quiet. Yep, I know. Hold me down I’m that crazy. Sitting in a cafe by yourself and just reading is actually the most therapeutic thing and I’d highly recommend it. 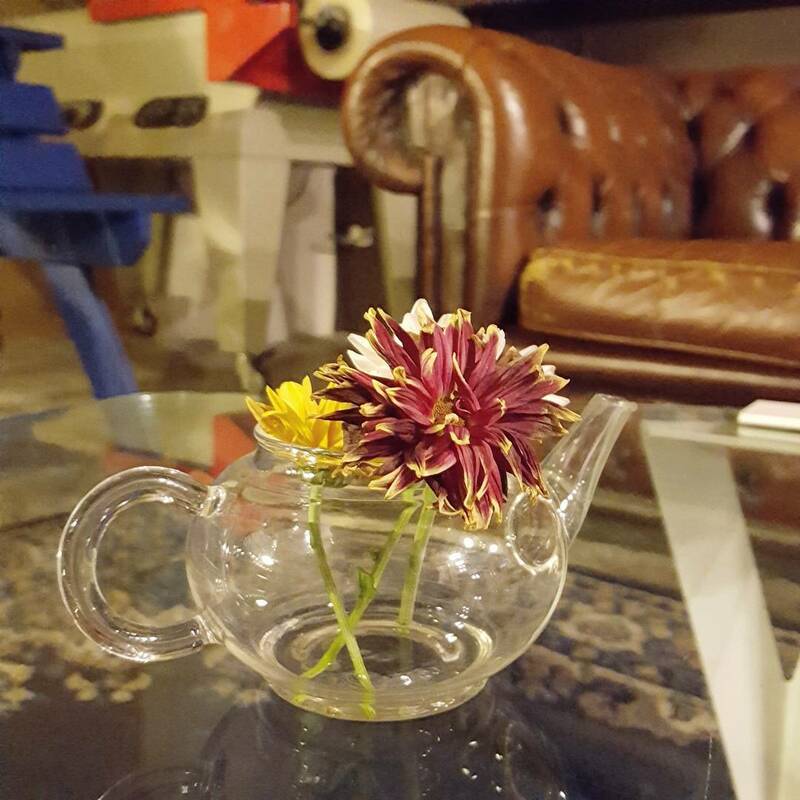 You can drink all the tea in the world, there’s nobody trying to do that thing where you share cake instead of getting a slice each (never trust those people), and it’s chance to switch off completely. And no, nobody looks at you weird. I promise. 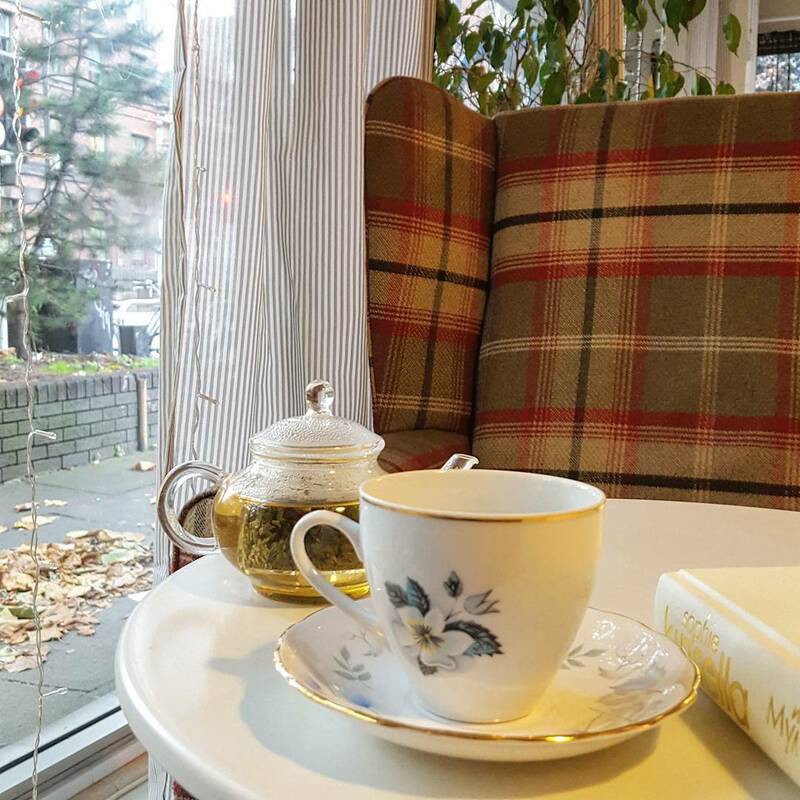 Here are my favourite places to go for tea and quiet time in Manchester. This is a recommendation of my sister’s as she lives in Manchester and also loves spending an afternoon reading in a coffee shop. 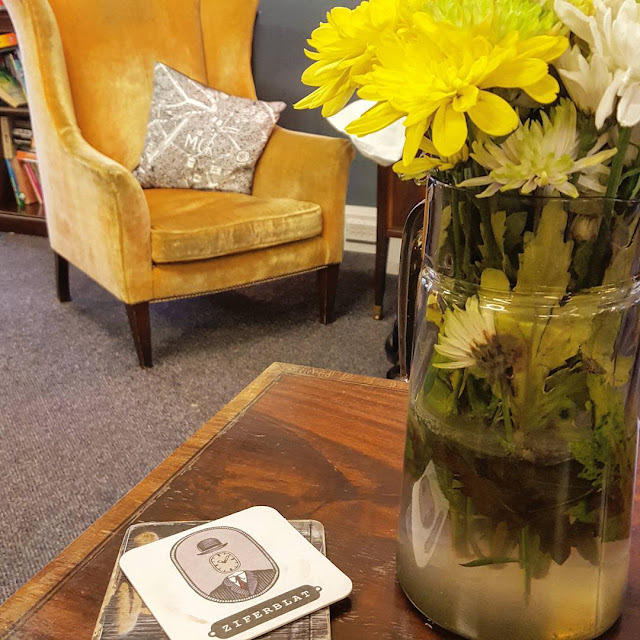 Chapter One is also a book shop which definitely makes it stand out for me as I find being around books the most calming thing in the world – honestly, my ideal date location would be a library. They do a variety of loose leaf teas, have a delicious looking selection of cakes and the interiors are 100% my cup of tea (pardon the pun). We’re talking wingback armchairs, leather Chesterfields and fairy lights. Dream. I absolutely love the concept of Ziferblat which is a total gem in the Northern Quarter. When you go, you pay by the minute, rather than for what you eat and drink, so it’s more like a communal space than a cafe – though there are staff there, you wash up your own plates etc. They have tea, coffee, hot chocolate, squash plus fresh fruit and shop bought treats like cake and biscuits. When I was in there, there was a business meeting taking place, someone playing the piano and a group of students who cooked both jacket potatoes and a chocolate cake in the hour I spent there. As there’s a microwave and oven, it’s the perfect place to go to get some space, plus there is free Wifi, plugs to charge your phone and board games in case you need an emergency game of Jenga. I love it in there as everyone is really down to Earth and will chat to you as you make a brew. I discovered Leaf when my friend Alex took me to their Liverpool branch earlier this year, so I was really excited to find out that there is one in Manchester. I headed here around 5pm, so just before it started to get busy in the evening as I know they have an extensive tea menu and some delicious looking food. 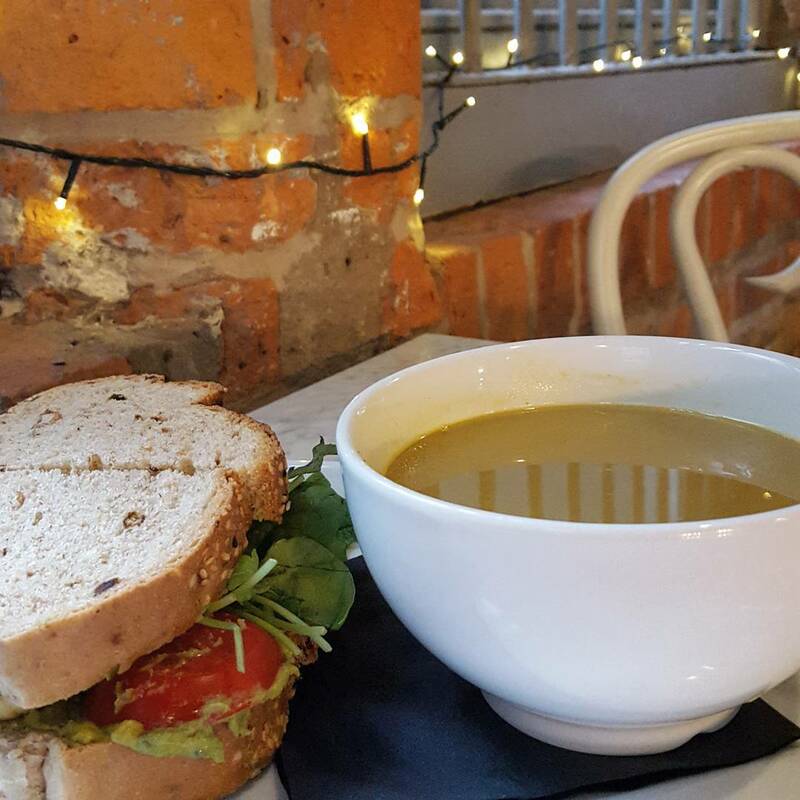 This was actually where I saw soup and a sandwich on a menu for the first time so I opted for a vegetable soup with a grilled halloumi sandwich. Both were delicious and probably the equivalent portions of having them by themselves. I had the Fairy Wings tea which is a green tea blend with berries – definitely something I’d recommend as it’s so light and delicious. So tell me, are you a solo cafe-goer? Are you a tea fanatic? If you have any northern recommendations I’d love to hear them. Thankyou very much for the recommendations - I hear they have quite the tea scene in Manchester but I don't make it over that often so wouldn't know where to start ! Chapter One in particular looks right up my street! I'm a big fan of Ziferblat and just wish we had somewhere with the same concept in Leeds-I'd love to work from there sometimes and really fancy doing a blogger shoot there too. Fingers crossed Leeds does get somewhere in the end.